Make this Easter Bunny Tail Candy Bark in a few minutes with your favorite spring candies and mini marshmallows. Kids of all ages love this easy dessert! The kids are on spring break this week, so we’ve been busy making some of their favorite sweet treats. Whenever they have time off, I always have them list a few things they want to do over break. So this year, in between suggestions to meet Chris Evans, eat 6200 tacos and vacation in California, they included a few things that we could actually do. 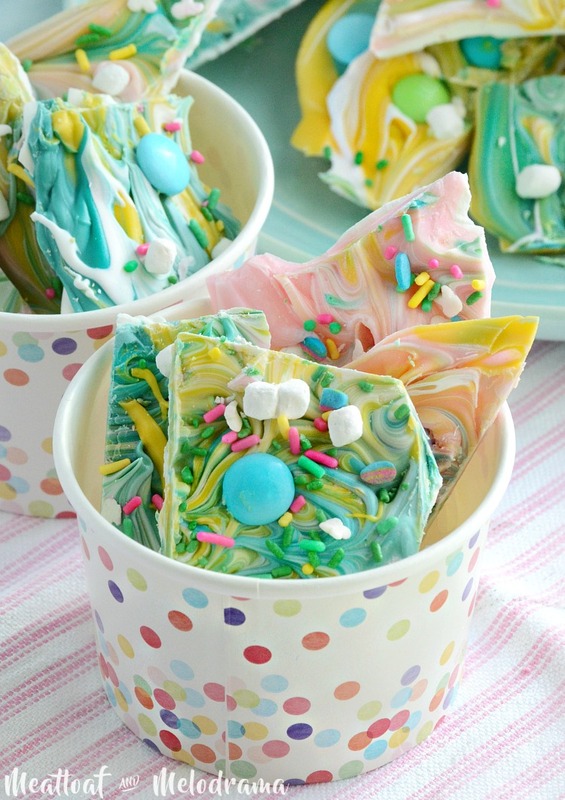 And, this easy Easter bunny bark is one of them! We make bark for Christmas, Halloween and even patriotic holidays like Memorial Day and the Fourth of July. My daughter wanted to make Valentine’s Day bark, but she ended up getting sick, so we never got around to doing that. 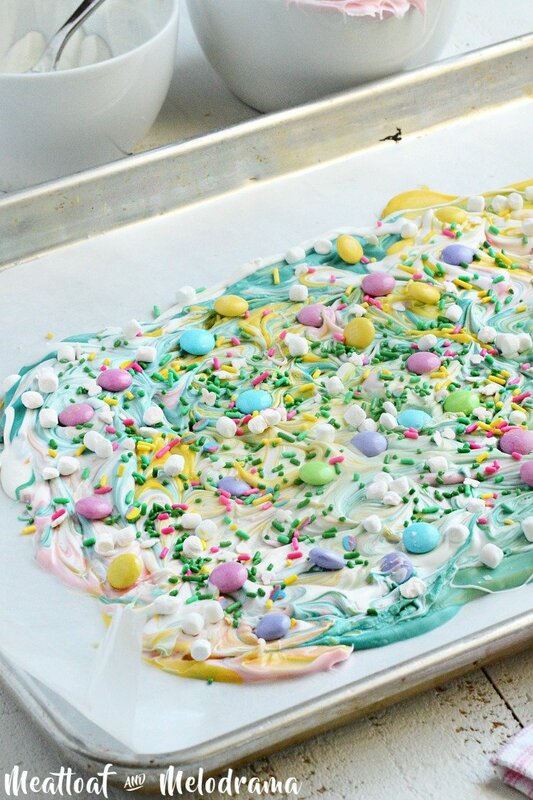 So this year, it was definitely time to make Easter bark. 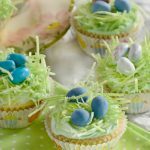 If you’re looking for a super easy dessert of treat for Easter or any holiday, you need to make some bark! It’s basically just melted chocolate or white chocolate mixed with candy melts. 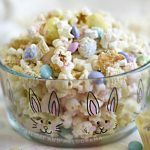 If you can use the microwave, you can make this Easter bunny tail bark! Instead of using regular chocolate, we bought a bunch of different colored candy coating. Normally, I’d be all about the dark chocolate, but since this is spring, it’s all about the lighter colors. 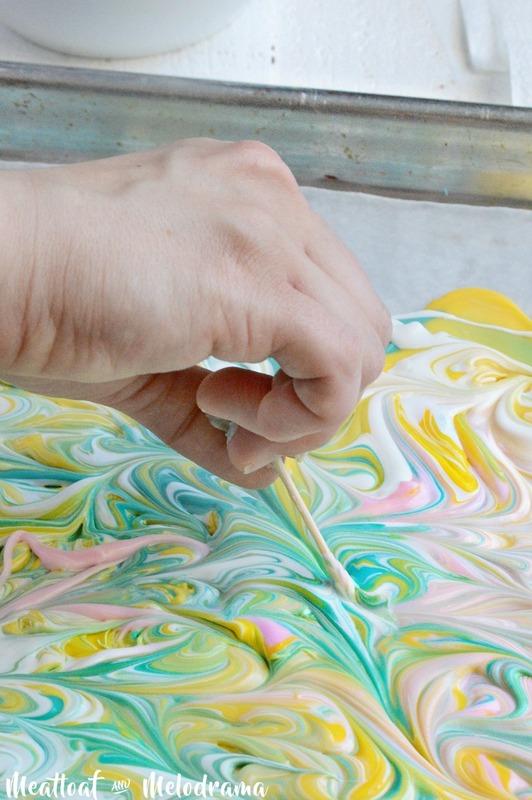 All you do is melt the candy coating, pour the different colors on a baking sheet, and then you swirl them all together with a toothpick. That’s just the basics. 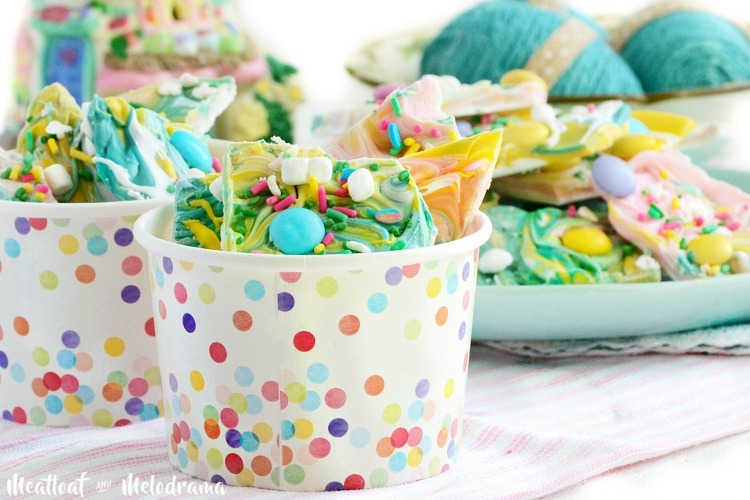 The fun part is adding your favorite candy and whatever colorful toppings you want. We used spring M & M’s and other candy. And for extra fun, we added some mini mini marshmallow bits because they reminded us of little bunny tails. I popped the candy bark into the fridge to set, and after a few minutes, it was ready to eat. Just break the bark into smaller pieces with a knife or your hands, and that’s it! Place the candy melts in separate microwaveable bowls, and melt according to directions on package. This Easter Bunny Tail Candy Bark did not last long in our house at all. Of course the kiddos were home, so I expected that! 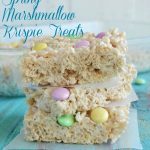 But you ca make this for a quick and easy Easter dessert or share some with your friends or other special people. They’ll love it! This would be so fun to make with the kids! 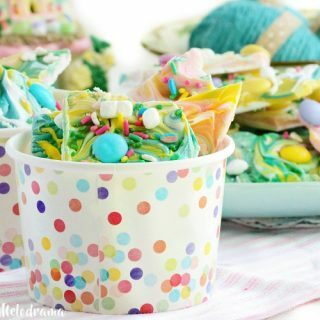 This looks like such a fun treat! I love all the easter candies! Thanks, Des. My kids had so much fun with this! This would be so much fun to make with my girls!! Perfect for Easter! My kids would love this easy dessert! OMG – this is gorgeous and looks so tasty! We always make chocolate bark for Easter too! Kiddos love it! We love making bark and this is so pretty, great colors! Hope you are having a great weekend and thanks so much for sharing with us at Full Plate Thursday! Thank you so much for sharing your recipe with our Delicious Dishes Recipe Party! WE loved it so much it’s featured today and pinned t our Pinterest board! Hope to see you again this week for our current party! Awesome, Lois. Thanks so much!